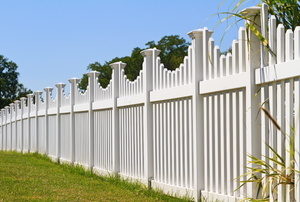 A high quality stain or paint job will help your fence stand out and stand up to the outdoors. 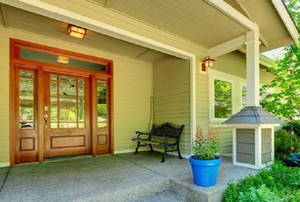 What you need to know about solid color exterior stains. 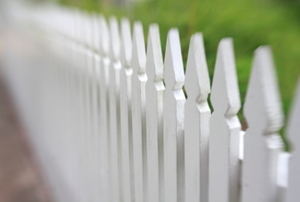 An unpainted fence could ruin the look of your entire house. 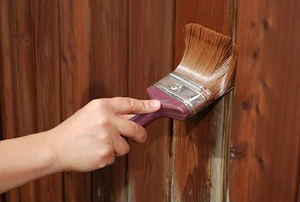 Although applying exterior door stain is not that difficult to do, there are some common mistakes. Instead of using harsh chemicals that could pollute the environment and endanger your health, go with a natural wood finish instead. Staining metal can give it an antique look. 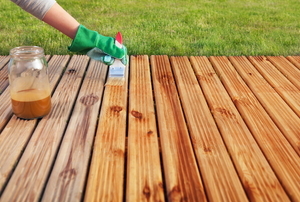 How Long Does Exterior Wood Stain Take to Dry? 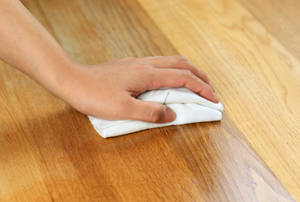 Different types of stain require different drying times. 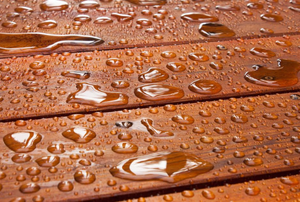 Properly sealed wood repels moisture and lasts longer. Even though manufacturers say that gel stains work on fiberglass, there are some problems with them. 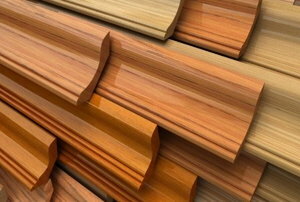 Staining your baseboard molding is a great way to add to the décor of your room. 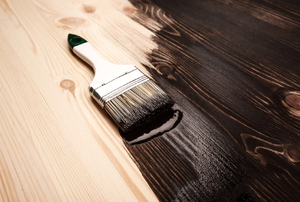 Staining wood has both aesthetic and functional benefits for any kind of wood in your home. An exterior wood finish not only protects wood, but it can also enhance the appearance of wood on your home's exterior. 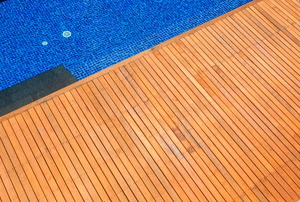 If you're torn between semi-transparent and solid color exterior wood stains, read this. Don't worry if your stain color doesn't turn out quite right. 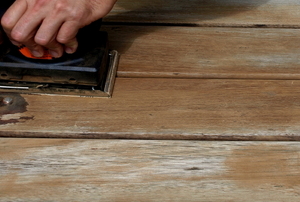 Lighten stain that is too dark using these steps. 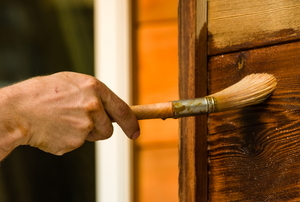 You can get the new look you want with stain, even if you have to strip paint to do it. Calculating the amount of paint needed for coating a fence is relatively easy and it will help you set a budget before you start. 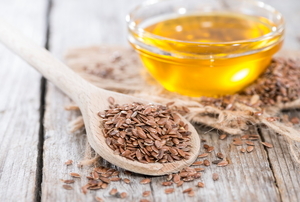 The best way to use linseed oil is in a properly thinned solution. But what do you need to do so? Read on and learn. 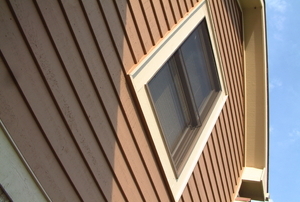 Cedar wood makes for beautiful siding to a home, but to make it last, you will need to stain the wood. 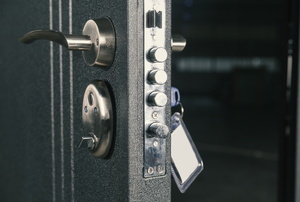 While it may not always need a protective coating, varnishing teak can still be a good idea for some extra security. 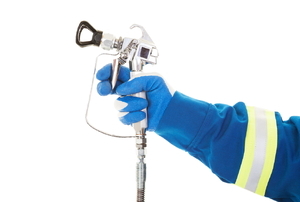 Weigh the good and the bad of airless paint sprayers to see if this might be a possible purchase in your future. 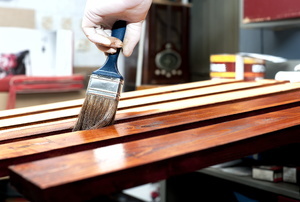 Use linseed oil to solve a number of your woodworking woes. 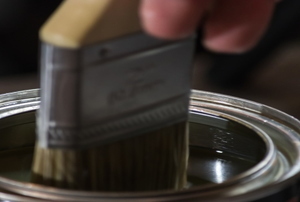 Denatured alcohol can make some of your do-it-yourself projects that much easier. Find out which ones! Can I touch up and re-stain wood baseboards? Deciding to stain your kitchen cabinets immediately leads to the next choice: What kind of stain to use. Exterior wood stain adds a rustic look to any piece of wood and makes it able to withstand the elements. 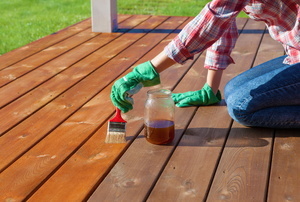 Exterior wood stain is a great way to create an appealing look on your wood deck or other outdoor furniture. 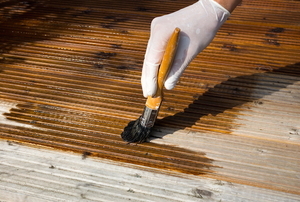 Exterior Wood Stain: Should You Use Gel Stain?